The 2-year fixed rate is often the term of choice for folks who don’t want to worry about rates every year, but want better-than-average upfront interest savings. Two-year mortgages sometimes have the lowest rates of any fixed term. Because the rate and payment is lower than most other terms. Because they don’t expect to have a mortgage much longer than two years. Renewing in two years means you may have to pay switching costs more frequently if you change lenders. In a declining interest rate environment, a fixed rate (even if only for two years) will usually cost you more than a variable rate. About 1 in 14 borrowers select 2-year mortgages (source: Mortgage Professionals Canada). You can lock in your renewal rate in just 18 to 21 months (since most lenders offer 90- to 180-day rate holds). To get a 2-year term, lenders generally make you prove you can afford a payment based on a higher posted 5-year fixed rate (a.k.a. “qualifying rate”). This higher “benchmark 5-year rate” is published by the Bank of Canada. 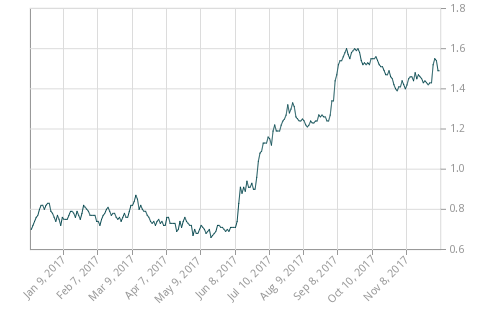 If you want to guesstimate where 2-year rates are headed short term, keep an eye on Canada’s 2-year government bond yield (below).